Lots of things to share on a Monday! I want to start off the week by highlighting a recording by my Music Worth Buying co-host TJR. 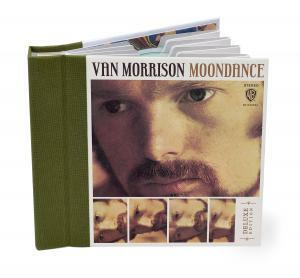 Several different remastered and expanded versions of Van Morrison's seminal Moondance release are set for release by Warner Bros. Records in late September. I am truly excited at the announcement that as many as 50 unreleased recordings set to tape in 1969 are set to be included in the 4 CD/1 Blu-ray deluxe version. Moondance, released in 1970 and Morrison's first million selling album, features such classics as "Caravan," "Into The Mystic," "Crazy Love" and the timeless title track. Click here to check out writer George A. Paul's Music Minded blog for all the wonderful details. Youngstown, Ohio—The Butler Institute of American Art is to present the exhibition “The Paintings of John Mellencamp” November 3, 2013 through January 12, 2014. This show, which will feature some forty paintings, some never before seen by the public, is the artist’s first art museum exhibition. John Mellencamp was born in Seymour, Indiana, in 1951, a descendant of German immigrants. Mellencamp played music from the age of fourteen. His interest in painting began at ten years of age through observation of his mother, who painted with oils. The artist’s study at New York City’s Art Students League with portrait painter David Leffel was superseded in the early 1980s by a skyrocketing musical career; yet the artist continued to explore painting as a means of self-expression. According to Mellencamp, “Initially I was interested in portraitures only. I started looking at Rembrandt and those guys.That genre of painting. That led me to Impressionism which I didn’t really have a feeling for. From that it went to German Expressionism which has stayed and remains the basic foundation for what I do. 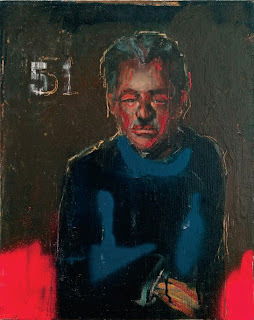 Max Beckmann, Otto Dix, the foundation of my influence, same as folk music is the foundation of my songs.” Mellencamp maintains a studio in Bloomington.He has a mid-west sensibility and always returns to his home state of Indiana. A national and international tour is being planned. Mellencamp’s first museum exhibition was held last spring at the Tennessee State Museum in Nashville. The Butler Institute is open free to the public. Hours are: Tuesday–Saturday 11:00 I.J.–4:00 K.J. ; Sunday Noon–4:00 K.J. Closed Mondays. Riot Fest 2013 just got more awesome, with Pixies, Joan Jett & the Blackhearts, Suicidal Tendencies, Andrew W.K. and T.S.O.L. joining the action-packed three day weekend in Chicago, with the Replacements, Fall Out Boy, Blink 182, Violent Femmes, Rancid, Blondie, Public Enemy, Rocket From The Crypt, The Dismemberment Plan and a slew of other killer bands. Further additions to Riot Fest Chicago include Hatebreed, Off With Their Heads, The Flatliners, Nativ, Hostage Calm, The Interrupters, New Beat Fund and Pet Symmetry. Regrettably, several bands had to cancel their performances due to unforeseen circumstances, including Motörhead, Bad Brains and Attack Attack! Motörhead has postponed their 2013 touring till 2014, so look for them back and rocking Chicago then. Look for the daily schedules for all Riot Fests to be announced and single-day tickets to go on sale Wednesday, July 24. Armed with "Bagboy," the band's first new song in nine years, the Pixies are back to rock Riot Fest. Riot Fest is the first North American date that the band has announced as part of their extensive global tour. It will give them an opportunity to do something they haven't been able to do in two decades: premiere brand new Pixies songs, the first collection of new material since 1991's Trompe le Monde. For this tour, the Pixies - Black Francis - guitar/vocals, Joey Santiago - guitars/backing vocals, and David Lovering - drums/backing vocals - will be joined by bassist Kim Shattuck. Shattuck played bass for the all-girl L.A. garage rock band The Pandoras, and then was the guitarist for the pop punk band The Muffs. The four have been holed up in an L.A. rehearsal space getting ready to offer the most wide-ranging concert set-lists of Pixies music in the band's career. On a mission to create a punk rock state fair, this amazing 3-day festival takes place in historic Humboldt Park in Chicago, where a Ferris wheel, tilt-a-whirl, fire eaters, Lucha Libre and other attractions nestle in a gorgeous setting. Lagoons, shade trees and lovely fields yield to a stunning view of the Chicago skyline. (LONG BEACH, Calif.) - Further cementing its place as the Epicenter of live music in Southern California, Long Beach is the site of the 2nd Annual Latin Jazz & Blues Fest, taking place Saturday, July 27 at Houghton Park, 6301 Myrtle Ave., in Long Beach. 12 noon-8 p.m. Free to the public; all ages. Kids Zone, food trucks and a Vendor Fair. Info: (562) 570-6137 or log ontohttps://www.facebook.com/events/539911929390636/. Cutting-edge Long Beach band New Blues Revolution (pictured) are one of the headliners at the 2nd Annual Latin Jazz & Blues Fest at Houghton Park, next Saturday, July 27. Headlining a strong live music bill that includes area favorites Jazz Angels, Dat EZ Band, Box Car 7, DW3 and the Susie Hansen Latin Band, are New Blues Revolution. In a music world where seemingly every band tries to be trendy, New Blues Revolution are transcendent. Where other groups feel a huge sense of accomplishment for playing one show a week, NBR are the Ernie Banks of the Blues - they prefer to play two gigs (often in the same day!). Where most bands pick a sound and stick to it come hell or high water, NBR willingly criss-cross the boundaries of blues, rock, soul and jazz with their music. And don't even get me started on the colorful character who fronts New Blues Revolution, Bill Grisolia. When they made Bill, they truly broke the mold! New Blues Revolution are leading the vanguard of the New Blues Movement in the U.S. (think: Black Keys, John Mayer, Mumford and Sons). Similar to the explosion in the British Blues scene of the 1960's, NBR work to broaden, deepen and contemporize the Blues. New Blues Revolution have performed everywhere from the flagship Sunset Strip (L.A.) House of Blues to a myriad of high-profile concerts and festivals. NBR have opened for a diverse range of music legends including Tab Benoit, Macy Gray, Leon Russell, Rick Derringer, David Lindley, and the late Michael Burks. Forging a unique, distinctive style, NBR brings exciting showmanship to a mix of high-energy New Blues songs - deep, modern, rock-y but also soulful. The New Blues Revolution has received rave reviews from national magazines including Music Connection, American Blues News, and Cashbox to name a few. 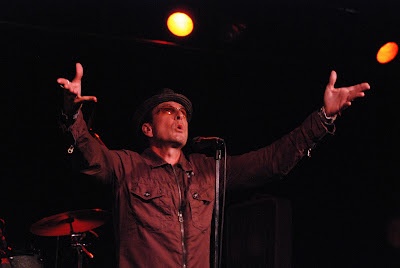 Their song "Blue Revolution" was previously nominated for a Los Angeles Music Award, with the band receiving a "Best Musical Group" LAMA nod as well. Arkansas, Chicago, Three Dog Night and Special Guest David Ellefson of Megadeath! The Rock n Roll Autograph Show is premiering in Los Angeles September 13-15. The Show promises an opportunity for fans to meet their Rock n Roll heroes in an intimate setting, while taking home their personalized pieces of rock music history. All for a heartfelt cause, funds raised through The Rock n Roll Autograph Show will benefit St. Jude Children’s Research Hospital, helping to ensure that families never receive a bill from St. Jude for treatment, travel, housing, or food -- because all a family should worry about is helping their child live. The show will be held Friday through Sunday, September 13-15, at The Westin Los Angeles Airport. Attendees will hang out with some iconic musicians and performers, artists who made the soundtrack of our lives. 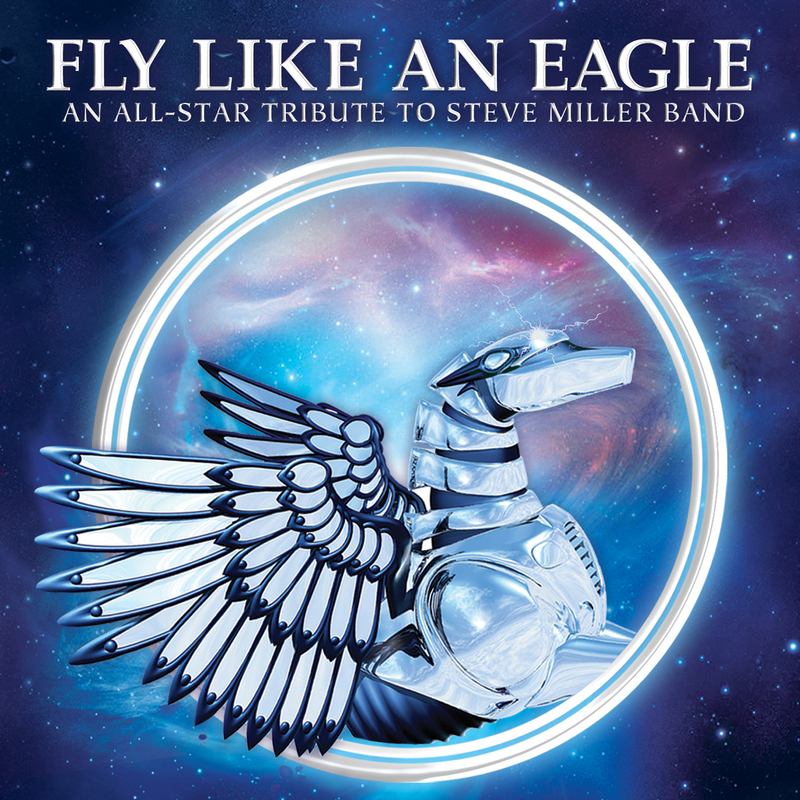 The selection of artists includes a sampling of Rock n Roll favorites throughout the generations from early years to today, including both soft and classic rock, doo-wop, 70’s rock and 80’s metal. The show will open Friday night September 13, free and open to the public, with vendors and sponsors only from 5-10 pm (no artist will be on the floor signing autographs). Friday night includes a Battle of the Bands and some celebrity teaser performances, including Artimus Pyle and Bob Burns playing Lynyrd Skynryd classics, as well as Jennifer Batten, famed guitarist for Michael Jackson, doing a tribute to the King of Pop. Entry is limited to the first 1300 people to arrive. Doors will be open Saturday and Sunday, September 14 and 15, from 9 am to 5 pm, with artists on the floor from 10 am to 5 pm. One-day tickets, two-day passes and special VIP guest passes including a VIP private party are available. Artists will sign personal photos, cd’s, rock memorabilia, collectible guitars, drumheads and other items while vendors, sponsors and partners will be on-hand, with lots of great media opportunities and star performances. General admission tickets for Saturday or Sunday are $30 per person in advance online and $35 per person at the door. A discounted two-day pass is available for $50 at the door or online. VIP Passes are $350 per person. Individual autographs will be subject to additional charges per each artist’s discretion. The VIP Party on Saturday night September 14th from 6 pm to midnight will feature full sets by The Artimus Pyle Band featuring Bob Burns, and other guests including Black Oak Arkansas, guitarists Micki Free and Jean Beauvoir, Michael Angelo Batio and Skynyrd Reloaded….plus some surprise guests! The Rock n Roll Autograph Show is thrilled to support St. Jude Children’s Research Hospital. St. Jude was founded by the late entertainer and visionary, Danny Thomas, on his belief that “No child should die in the dawn of life.” Treatments invented at St. Jude have helped push the overall childhood cancer survival rate from 20 percent to 80 percent since it opened 50 years ago. Founded in 2012, the mission of The Rock n Roll Autograph Show is to pay it forward while celebrating the music of our time. Treatments invented at St. Jude have helped push the overall childhood cancer survival rate from 20 percent to 80 percent since opening more than 50 years ago. St. Jude is working to drive the overall survival rate for childhood cancer to 90 percent by 2020. We won’t stop until no child dies from cancer. Because the majority of St. Jude funding comes from individual contributors, St. Jude has the freedom to focus on what matters most – saving kids regardless of their financial situation. Through the generous support of donors, families never receive a bill from St. Jude for treatment, travel, housing or food, because all a family should worry about is helping their child live. St. Jude freely shares the discoveries we make so one child saved at St. Jude means thousands more saved worldwide. There is no place like St. Jude Children’s Research Hospital. General admission tickets for Saturday or Sunday are $30 per person in advance online and $35 per person at the door. A discounted two-day pass is available for $50. VIP Passes are $350 per person. Individual autographs will be subject to additional charges per each artist’s discretion. Although it has been 30 years since the release of their trailblazing Reach the Beach album, the Fixx is one of the few groups to emerge in the 1980s whose artistry remains fully intact. The evidence played itself out in brilliant fashion when the British rock quintet performed a flawless 18-song set before a capacity crowd at The Coach House in San Juan Capistrano on Friday night, July 19. Featuring songs from 1983's Reach the Beach and 2012's sterling Beautiful Friction (and a few choice hits off 1982's Shuttered Room and 1984's Phantoms), this was a concert that provided plenty of opportunities for nostalgia seekers to sing and clap along, but it was also a night for more discerning listeners to join the band for an even more abounding experience celebrating the musical and lyrical layers that have long separated The Fixx from both their contemporaries and any number of musical descendants. Like several of their fellow early '80s pioneers (U2 and R.E.M. immediately come to mind), time has been kind to the band's sound. Confident in their latest songs, the Fixx opened with a powerful string of cuts pulled from last year's Beautiful Friction. The opener "Anyone Else" found Rupert Greenall's keyboard textures coating Cy Curnin's outstanding vocal delivery while the third offering, "Take a Risk," proved to be a potent riff rocker with Jamie West-Oram's masterful fret work featured. The performance of Beautiful Friction's title track was nuanced with the full band playing the lush arrangement before a more fiery and forceful take on their "What God." The Fixx didn't take a by-the-numbers approach when playing their classics that came later; "Less Cities, More Moving People" boasted some of the richly-ornate keyboard-meets-guitar layers that are a trademark of the outfit. But then that approach was foreshadowed on "Outside" back in 1983, played this night with Curnin still fully in command of a falsetto that brought chills with its beauty. An infectious "One Thing Leads to Another," haunting "Stand or Fall" and extended "Saved by Zero" filled the regular set with additional highlights. Throughout the night, Curnin was ever a personable and engaging frontman. A strong encore found the Fixx playing a funk-tinged "Deeper and Deeper," an explosive "Shaman" (another gem off Beautiful Friction) and ultimately a charged "Red Skies" where the joyful audience sang with almost as much power as the outstanding cast of players on the stage in front of them. 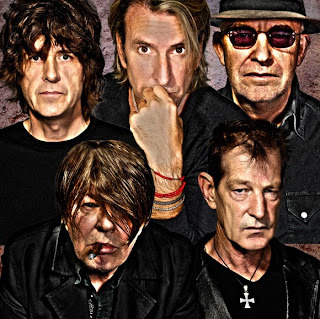 The memorable night left me hoping that I would get to see the Fixx again soon, and that the group (which also features an outstanding rhythm section courtesy of bassist Dan K. Brown and drummer Adam Woods) will release new music soon. A concert DVD release would be nice too. New York, NY (July 18, 2013)—This summer, Eagle Rock Entertainment will release four programs as Standard Definition Blu-rays: Bee Gees One Night Only, Scorpions Moment Of Glory, Rolling Stones Stones in Exile, and Pink Floyd Classic Albums – The Making Of Dark Side Of The Moon.Originally released on standard definition DVDs, these films are upscaled versions of the original material, with uncompressed stereo and DTS-HD Master Audio surround sound. The first two releases, Bee Gees One Night Only [MSRP $17.98] and Scorpions Moment Of Glory [MSRP $17.98], will be released July 30. OneNight Only features the Bee Gees performing at the MGM Grand in Las Vegas in November 1997. One of the few Bee Gees performances ever filmed, this Blu-ray, completed with bonus tracks from “An Audience with the Bee Gees," and a band interview, has been fully restored with remastered sound. The second two releases, from the Rolling Stones and Pink Floyd, will be released August 27. Stones In Exile [MSRP $17.98], originally released in 2010, chronicles the incredible story behind the Stones’ monumental Exile On Main Street album. Recounted in the band’s own words, this film explores the spring of 1971, when the Stones fled the UK as tax exiles, settled into Keith Richards’ French villa Nellcôte in Villefranche-sur-Mer, and proceeded to create this double-album masterpiece. The Blu-ray includes extensive bonus footage, interviews with all band members (as well as some well-known Exile fans) and a featurette of Mick Jagger and Charlie Watts visiting Olympic Studio and Jagger’s Stargroves country house, where most of the early work on the album was done. Classic Albums – The Making Of Dark Side Of The Moon [MSRP $17.98] was originally released in 2003, and traces the creation of Pink Floyd’s iconic 1973 album. Interviews with band members (Roger Waters, Richard Wright, David Gilmour, and Nick Mason), engineer Alan Parsons, the late designer Storm Thorgerson, and others involved unveil the creative process behind this magnum opus which, 40 years after its release, is still one of the best selling albums in history. Bonus features include 40 minutes of additional footage not seen in the original 50-minute television version. July 18, 2013 (Los Angeles, CA) -- Nettwerk Music Group is pleased to announce the signing of Australia’s Boy & Bear to its worldwide label roster. With their debut LP Moonfire, Sydney’s five piece Boy & Bear won an astonishing five awards at 2011’s ARIA awards, including the coveted group and best album prizes for their acclaimed debut –Album Of The Year, Best Group, Breakthrough Album, Breakthrough Single and Best Adult Contemporary Album. On October 29, the band will release their sophomore effort and Nettwerk debut Harlequin Dream. Conceived and ‘birthed’ in their hometown of Sydney, their bold and brave new album was recorded at the legendary Alberts Studio and mixed by Phil Ek (Band Of Horses, Fleet Foxes, Built To Spill, The Shins, Sea Wolf, The Walkmen, Father John Misty). Lead single, “Southern Sun,” has a powerful urgency, not unlike the best of Bruce Springsteen or Fleetwood Mac, with a sprinkling of strings and brass that brings life and color to a track that bridges the new with the familiar. Boy & Bear is the latest addition to Nettwerk’s expanding label roster, which includes artists likeFamily Of The Year, Passenger, BOY, Ladytron, Savoir Adore, Peter Murphy, Angus & Julia Stone, William Fitzsimmons, The Paper Kites and Ghost Beach, as well as catalogue artists like Old Crow Medicine Show, The Submarines and fun. BRANDI CARLILE TEAMS UP WITH PASTE MAGAZINE TO PREMIERE NEW VIDEO, "KEEP YOUR HEART YOUNG"
And Contains Top 5 Triple A Radio Hit "That Wasn't Me"
Paste Magazine has premiered Brandi Carlile's new video, "Keep Your Heart Young." As befitting a song that celebrates the simple joys of childhood, the clip features plenty of kids. Carlile recruited two nieces and a nephew to play younger versions of herself and "The Twins" (band mates/co-writers Tim and Phil Hanseroth), and invited fans to share footage of the children in their lives. The song is from her latest album, Bear Creek, which debuted at No. 10 on The Billboard 200 in 2012. Click here to see "Keep Your Heart Young." "Of all our videos, this one was the most fun to make, no contest!" says Carlile. "The clips of the little kids at home are hysterical. I hope the fans like how we incorporated them. The performance footage was shot at my home outside Seattle, so I'd say that's about as down home as you can get." Kids don't let a few bumps and scrapes get in the way of having a good time - and neither do Carlile and her band. The video was conceived just as Brandi parted ways with her longtime record label. Undeterred, she and her band mates decided to finance the clip and produce it themselves, enlisting a friend, London-based filmmaker Ed Christmas, to help. "Bringing Ed Christmas over the pond from the UK was the best decision we could have made," notes Carlile. "He really understood the direction we wanted to go in and how we felt the need to strip away the sheen and acting that usually comes with a video shoot, so that people can really relate to how messy life is and how important it is to keep your heart young." Carlile and her band will take their "Hard Way Home Summer Convoy" tour to the East Coast next, beginning with a show this Saturday, July 20, at Ives Concert Park in Danbury, CT and including a performance at Floyd Fest on July 27.They'll head west thereafter, working their way up the coast towards home, where the trek concludes with a sold-out, two-night stand atSeattle'sPark Zoo Amphitheater on August 22 and 23. Special guests include The Lone Bellow and Ivan & Alyosha. This fall, Carlile will perform with theWaterloo-Cedar Falls Symphony (October 26 in Cedar Falls, IA) and the Oregon Symphony (November 23 in Portland, OR). See below for itinerary or visithttp://www.brandicarlile.com/events. "She's the sort of disarming, no-frills-all-wow and built-to-last performer who bowls over unsuspecting newcomers when they're dragged by converted fan-friends to one of her shows, like her exemplary return to House of Blues Anaheim," said the Orange CountyRegister in a 2012 live review. On August 10, Carlile will once again play the House of Blues Anaheim. "How rare is it to pair such a legendary voice with nuanced, instantly likable songwriting? It might only happen once or twice per decade," noted The Denver Post in advance of her recent headline show at Red Rocks Amphitheatre. "And so we take notice when Carlile visits Colorado...I have goosebumps already." "On 'Bear Creek,' Carlile becomes an American original...new, chiaroscuro material [such] as 'Save Part of Yourself' and 'Hard Way Home' - about the real nature of loss, limits and aloneness in adulthood - brings her closer to a league with Johnny Cash, Patsy Cline and their brand of hell hounds," said The Seattle Times. "Brandi Carlile has outsize gifts. Her voice is rich, malleable and boldly emotive," observed The New York Times while The Boston Globe called Bear Creek "easily Carlile's most affecting statement." Rolling Stone placed Carlile on its Top 10 list of artists to watch following the release of her 2005 self-titled debut album. She has steadily built a loyal fan base through non-stop touring and a succession of critically acclaimed albums - including 2007's T Bone Burnett-produced The Story, Give Up the Ghost (2009), which was produced by Rick Rubin and featured a collaboration with Elton John, and 2011's Live at Benaroya Hall with the Seattle Symphony. Her songs have been heard in such shows as "Grey's Anatomy," "The Good Wife," "American Idol," and "Parenthood." "Hard Way Home Summer Convoy"
As many of my long-time readers know, one of my favorite bands to emerge in the 1980s is The Fixx. What many may not know is that the British band remains a potent live act at the height of its artistic powers. Those of you who live here in Southern California should try to catch the rock quintet when they perform at Saint Rocke in Hermosa Beach tonight (July 18) or at The Coach House in San Juan Capistrano on Friday, July 19. Here is the preview I wrote about The Fixx that appeared in The Orange County Register on July 13, 2012 (just more than a year ago) around the time of the release of Beautiful Friction, the most recent Fixx studio album. With the world mired in an ongoing financial crisis, it's little surprise that the Fixx, '80s-spawned rockers who have always featured material revolving around political topics, would return in 2012 fueled by such matters, leading the quintet to create one of its best-ever albums, Beautiful Friction. Set for release next week by Kirtland Records, the disc is the Fixx' first studio album since 2003's Want That Life. The British band launches a U.S. tour in support of it with a headlining concert Wednesday, July 18, 2012, at the Coach House in San Juan Capistrano, bringing the group back to O.C. after a memorable performance at Jack's 5th Show at Irvine's Verizon Wireless Amphitheater in September 2010. Anyone who listens to those staples of the New Wave era – or any of their other singles from back in the day, like “Saved by Zero,” “Are We Ourselves,” “One Thing Leads to Another” and “Deeper and Deeper” – knows that the members of the Fixx have worn their politics on their collective sleeve from the start. Indeed, the band's “How Much Is Enough?” (which peaked at No. 35 on Billboard's Hot 100 back in late 1991) could well be a fight song for the Occupy Wall Street movement decades later. What is so remarkable about the Fixx is not only that its original lineup – including guitarist Jamie West-Oram, keyboardist Rupert Greenall, drummer Adam Woods and bassist Dan K. Brown – is impressively still together, but also how relevant the group's songs sound today. Curnin is proud his material has held up, although he wishes more of the problems he's addressed over the years would have been solved by now. “Each artist or each writer has their own slant on things. Mine is that social backdrop of the mechanics of how we surrender our own dream-time to be part of a system that is managed by people that who aren't as godlike as they should be,” he said by phone from London, where the band was preparing for this coming tour. Beautiful Friction features a wealth of songs that showcase the band's lyrical bite along with other well-crafted originals that blend rich textures and melodic elements set around Curnin's distinctive tenor. The driving anthem “Anyone Else,” luxuriant “Second Time Around” and blistering “What God?” are among the highlights from an 11-cut album written and recorded over a span of about three years. Media Alert: Gary Clark Jr.